Are YOU a SNOMAN? — Free SaveNode Hoodie! I thought it might… and it's pretty much true! 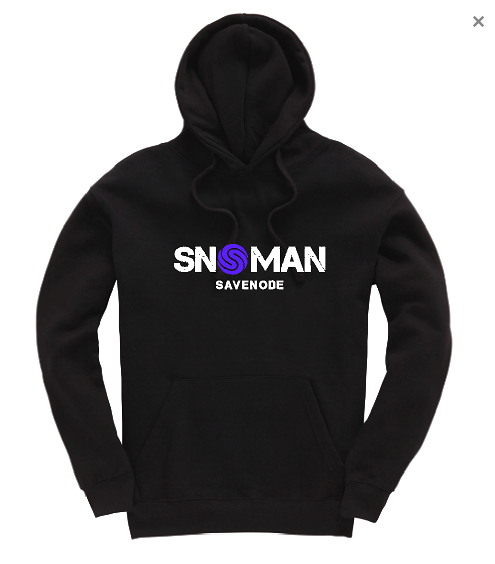 If you buy 0.015BTC of SNO from the sell orders and send us the proof of this, I will send you a SaveNode SNOman hoodie! Yep, so you either get a free hoodie, or you get free SNO. Whichever way you look at it, it's a winner! We're limited on numbers, so get in there quick… we have already got 3 gone in the last hour!! Jump on discord and send me, Boss, the proof and size and we'll get you sorted. Bear markets can make you sad, let's bring in the community and holiday spirit with a bit of fun and enjoyment! Crypto investing made easy with SaveNode — the masternode backed app that allows everyone easy access to multiple markets in crypto investing.